Golf is a game of conundrums and opposites. This fact is evident throughout all aspects of the game. Nothing is a better example than the contrast between the old traditions of instruction and the new methods and technology of modern-day golf. Watching the old Bobby Jones instructional videos really brought this to light for me. Some of the basic core foundations of teaching are explained and demonstrated by Jones. If you have never taken the time to watch them, I would highly recommend you doing so. Not just for the entertainment value, but as a professional golf instructor. He didn’t need video or a launch monitor. As a contrast, we have ball-flight launch monitors, detection devices that hook on your club delivering incredible data, sophisticated training aids, the 24/7 instruction from cable television, and of course, loads of golf instruction content readily available on the Internet. Technology is a great thing, and I use it every day to help my clients and students. But as I watched and listened to Jones, I was amazed at the incredible quality of his instruction. 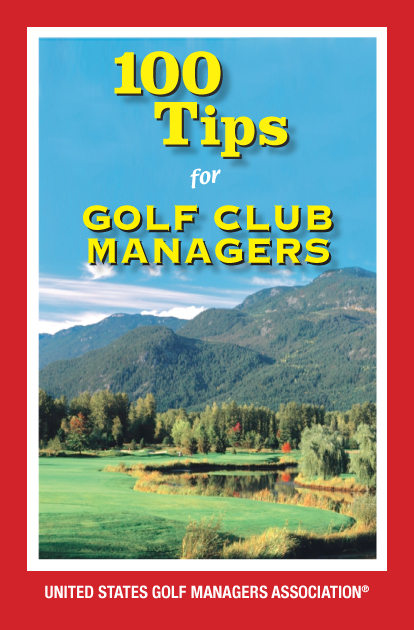 It brought back memories of my childhood fascination with golf and how to become a better player. It also reminded me how critical it is to continually learn and become more knowledgeable. I was fortunate to make this a priority early in my career. After 32 years working in the golf industry as a professional, this is the one thing I would point to as a key to my success. My thirst for knowledge was never-ending and still is to this day. That is not to say that I incorporated every opinion and theory into my teaching. Golf is such a beautiful yet complicated game; I do not feel it is possible to ever have enough knowledge and expertise. My goal is to keep up with modern instruction, modern technology, and to also find new and improved methods of communication. By watching and listening to other instructors, for example, I constantly find an improved method to describe something about the golf swing. I don’t always agree with all of the theories out there, but I try to expose myself to a variety of information. A great example is a situation I remember clearly from a class I was teaching in 2003. The professionals in the class were tasked with writing a thesis on a golf-related subject. One professional wrote about the connection of emotion to memory. Basically, it was a great explanation of a study done that proves if we tie emotion to events and facts, the human brain can recall amazing things. If emotions are not generated that tie to the fact or event, our brain dumps it. This was the classic light bulb going off for me. If I was teaching monotone and mundane, my students wouldn’t retain the information. But if I add laughter or something out of the ordinary to the subject, they could recall it much better. I was floored. Scientists and psychologists are constantly understanding how people learn better. New methods of communicating are always being discovered or refined. Sadly, I have come across too many teaching professionals that think they have all the answers or know everything. This is always a sobering situation for me. Not just that – it is bad for the game – but I feel sorry for that person. Was Bobby Jones brilliant? Of course he was. He was so far ahead of his time from a teaching stand point. But I am convinced that if he were here today, he would be soaking up the knowledge we have gained from launch monitors and video. That brings to mind another story about a great player. Ben Hogan was once asked by a skeptical professional, “Hey Mr. Hogan, what do you think about all these young guys using video for their swings?” Hogan replied that if he had access to video during his playing career, he may have never lost a tournament. My advice is this: Be open minded. Don’t stick your head in the sand. Even if you feel the information is beneath you, you don’t like the theory being taught, or the technology being used, open your mind and listen. There may be something out there that might make you a better instructor or better professional. Continuing to learn should be a cornerstone of your foundation as a golf instructor. Next WHO JUDGES THE GUARDIANS?